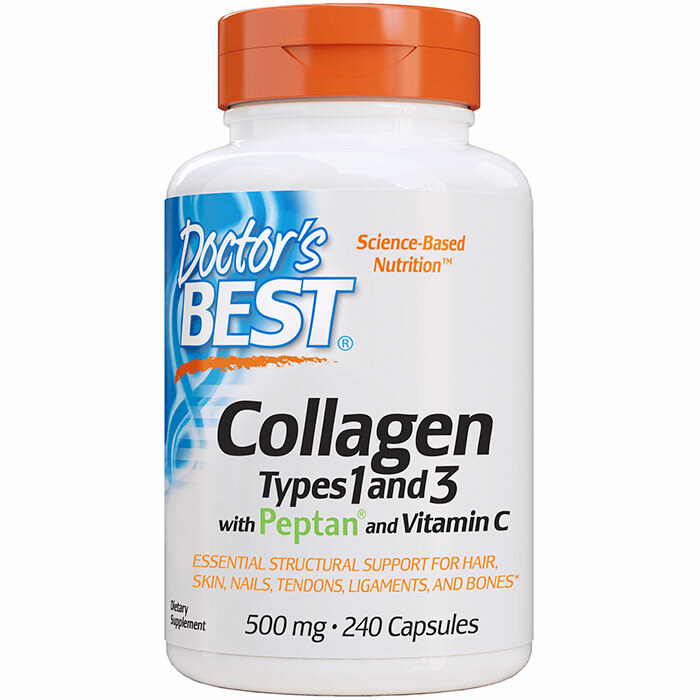 SAN CLEMENTE, Calif., –– Doctor’s Best has introduced Best Collagen Types 1 & 3 into its dietary supplement line. Scott Steinford, president of Doctor’s Best, made the announcement. 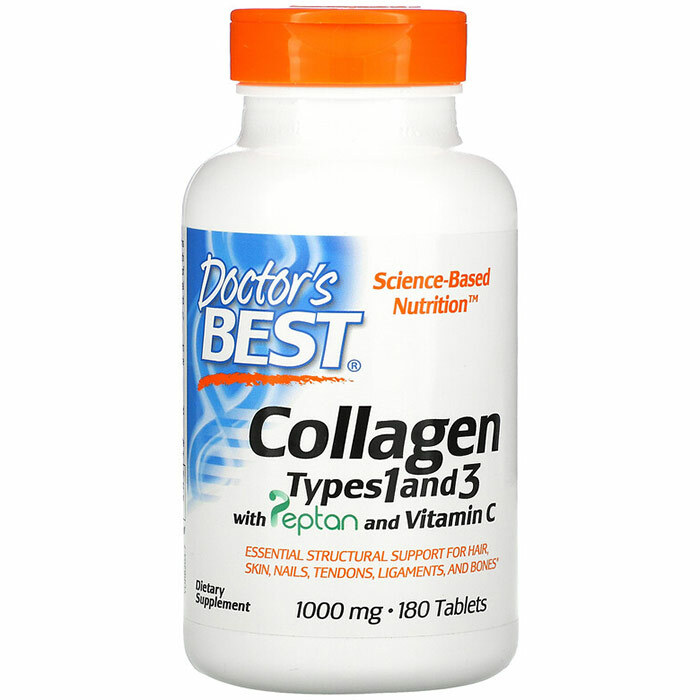 This product comes in 540 tablets, each providing 1000 milligrams of Types 1 and 3 Collagen. 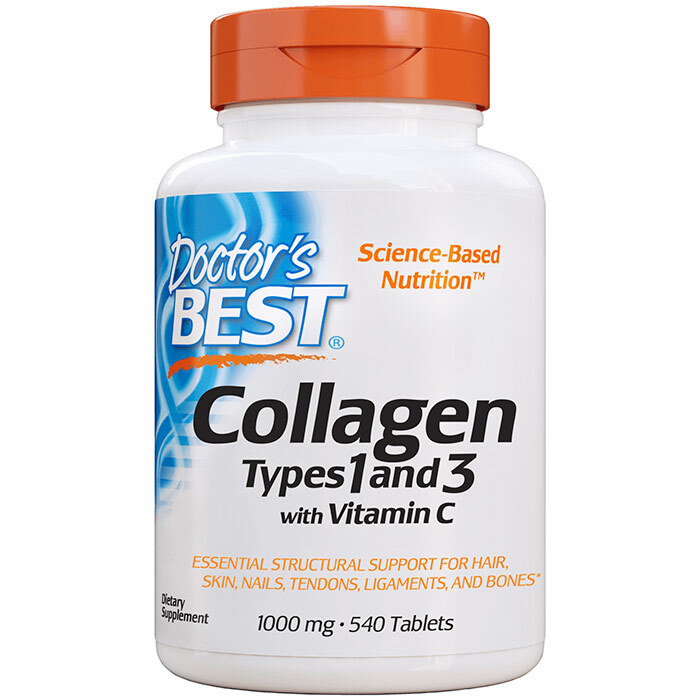 The Best Collagen Types 1 & 3 product line also offers 500 mg capsules, and a powder scoop form in a 200-gram bottle. Best Collagen Types 1 & 3 contains pure collagen protein, providing some of the fundamental building blocks for the maintenance, growth, and renewal of healthy tissues. Enzymatically hydrolyzed into component amino acids for optimal absorption and utilization by the body, Best Collagen provides support for hair, skin, nails, tendons, ligaments, and bone. Types 1 and 3 collagens are the most prevalent two types in humans; often found together in the same tissues, each form complements the structural integrity of the other. Type 1 collagen is the most abundant protein in the human body, and as the major protein in skin connective tissue it is responsible for providing skin with its tensile strength and resiliency. As skin ages, the levels of elastin and Types 1 and 3 collagen decrease in the dermis, resulting in the loss of elasticity; externally, this results in the appearance of wrinkles, fine lines, and blemishes. Type 3 collagen is also essential for the proper development of cardiovascular tissue, and additionally is copolymerized and linked to Type 2 collagen in articular (joint) cartilage in significant amounts. Founded in 1990 by supplement industry veteran Ken Halvorsrude, San Clemente-based Doctor’s Best, Inc., manufactures and distributes dietary supplements throughout the U.S. and internationally. Doctor’s Best is known for a broad line of premium products that are scientifically based on sound research and manufactured utilizing proven quality ingredients.